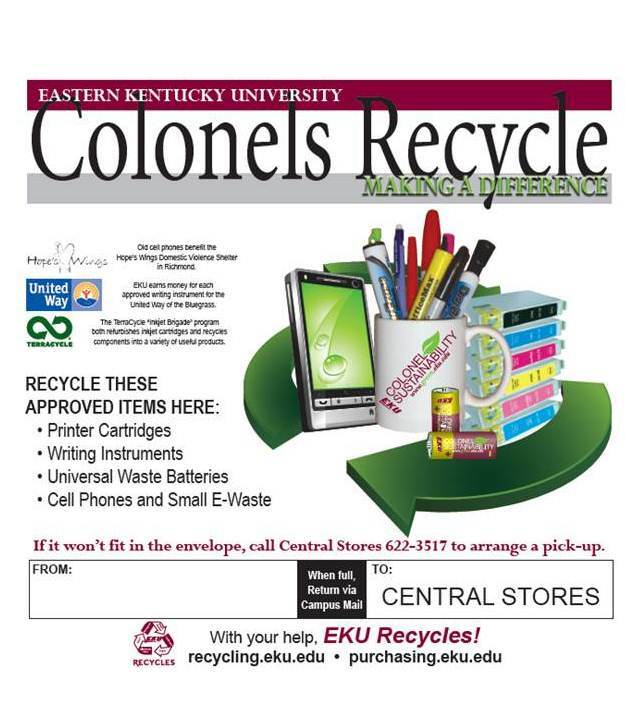 Cell Phones and other small e-waste (such as cables, dongles, disks, etc. 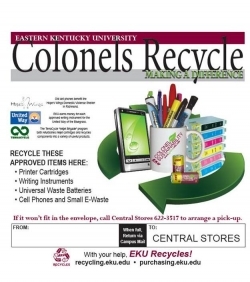 In partnership with the national "Terracycle Brigades" program, printer cartridges and writing instruments raise money for United Way of the Bluegrass. Old cell phones benefit Hope's Wings Domestic Violence Shelter in Richmond. Need more envelopes? Contact us!